The new 2014 KERS regs have me thinking they're gonna spice up the racing like the infamous DRS systems do now. Also due to the potential flow of effect towards electric car manufacture. However, while f1 are sticking with batteries, the latest tech is apparently going to be using capacitors http://phys.org/news/2013-08-capacitors-electric-vehicles.html due to their ability to cope with heat, and due to their ease in charging with much higher voltages and currents. Does anyone have an inside knowledge of this tech? When do you think it could be implemented in f1? Forgive me if I'm totally wrong here, as I haven't done any research on capacitors in a few years but I'm thinking I remember something. The energy output of a capacitor is a reciprocal graph so you massive output in the first second, then a huge amount less in the 2nd (times purely example, I don't know the actual output times). Wouldn't, in an F1 car, a more consistent level output be preferred? A huge quick burst would spin your wheels up whereas a lower output for longer ups your acceleration without messing your wheels by spinning. Might be totally wrong. It's been about 3 years since I looked into that stuff and even then only did it loosely with a focus on other techs anyway. I think they'd have solutions to normalize the output (in its simplest form a high-power, constant current diode would do the trick for instance). Used in combination with a flywheel? Or don't use them all at once, sequentially, or something? Unless they have improved immensely (which they probably have ) since I had anything to do with them, it would take a very big area of capacitors to give anywhere near the same capacity as a battery. When they talked of KERS first, my first thought was to use compressed gas. I wonder if we will see any completely new ideas? Compressed air was tried by some LeMans entries, but banned. I believe that some teams are using capacitors, and they are built into the undertray, since they can be very flat, just like a sheet of paper. Thanks, interesting. And the bit about compresses air being banned. The discharge characteristic of a capacitor (RC time constant) is nonlinear and expressed on a curve . A variable frequency drive (VFD) for controlling AC and DC motors speed uses bussed capacitors with discharge is controlled with pulse width modulation to create a simulated AC sine wave . Another use is for DC power supplies where the discharge rate is controlled by power electronics switched on and off at a very high rate of speed resulting in an average DC voltage . 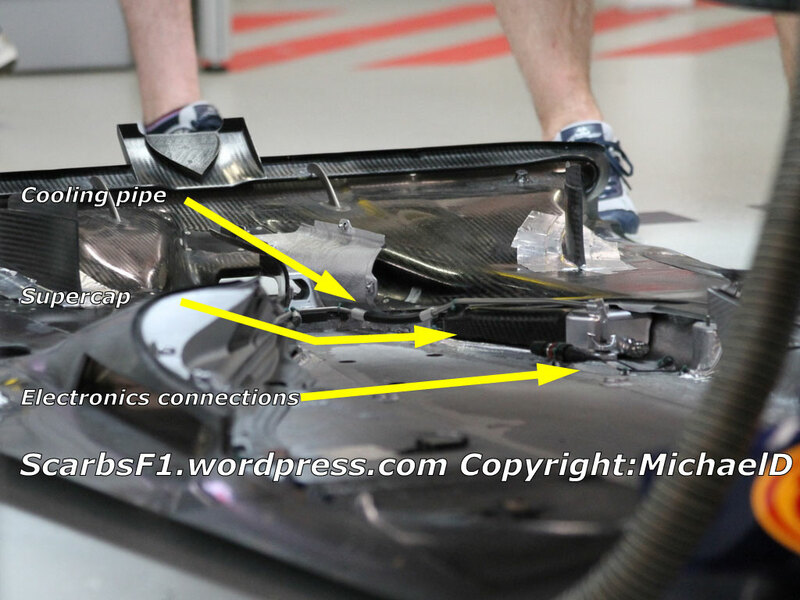 This technology is widely used and is most likely already used in Formula 1 in varying degrees . It could be used to smooth out the discharge rate of a capacitor .